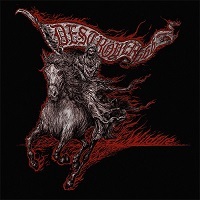 The hearty, often firebrand Aussies have never been the most productive of bands, with Wildfire being their first album in seven years, but to state the obvious: Destroyer 666 always makes it count. 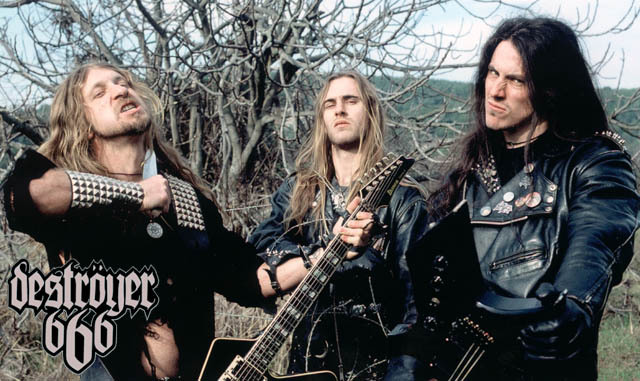 In a career that now spans over two decades, the band will forever be known (and respected) for 2002’s Cold Steel…for an Iron Age, an album that was benchmarked by a deadly black/death crossover and a biting, snarling, unrelenting attitude that reeked of authenticity. You could put Wildfire in the same slot. It’s nearly every bit as good as Cold Steel. A tremendous amount to work with here, most notably on the riff front. The guitar tandem of KK Warslut and RC often batter and ram their chord and note choices with an air veracity. It shows right off the bat on opener “Traitor,” where a twirling, whirling barrage of speed picking goes for the throat. “Live and Burn” fares even better, turning a few sideways, Dissection-like tricks, while the slow-burning “Hounds at Ya Back” calls for some menacing gang vocals in the chorus. The simply fantastic instrumental “Artiglio del Diavolo” showcases one of the band’s true underrated facets: its melodic side, a side that creeps up on more than a few occasions. Among the shorter stabs comes album closer “Tamam Shud,” an ominous, haunting number that again, pulls in the band’s melodic collective for a towering, spatial jam that is pure delight (if you want to call it that). And that’s certainly the applicable term with Wildfire – the whole thing is just one deadly black/death thrust after the next, a veritable songwriting clinic. Destroyer 666 albums don’t come around very often, but when they do, you’d be wise to savor them. Wildfire is about as unbeatable as they come.